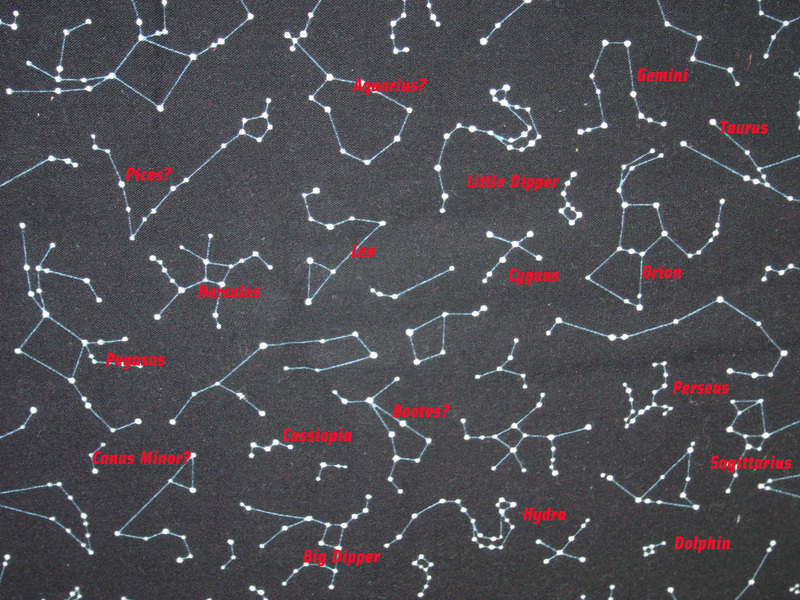 I recognize Orion, Big and Little Dippers, and Leo, also Casseopia and Pegasus. Scale and position are nothing like I remember them. Cool fabric, anyway! Do the constellations glow in the dark? I like looking at the night skies and finding the constellations that I know.